Life is Like a Jigsaw Puzzle - A Rose Is A Rose Is A Rose! I love jigsaw puzzles. I feel they are good for the brain. And it is no brainer that I got lots of jigsaw puzzles for Aaryan when he was a kid. From simple 10-20 pieces jigsaw puzzles we graduated to 500 pieces puzzles. We were in Jammu then. One evening, Aaryan and I were engrossed in assembling this jigsaw puzzle when some friends came over. While Aaryan went off to play with the kids, a friend joined me and we worked on the puzzle together. We looked at the complete picture (given on the box) from time to time to keep in our mind, the end result and then searched for the missing pieces. If we got stuck somewhere, we abandoned that part of the picture and focused on the other part. We tried to fit a piece in various places. Sometimes, we looked at the picture real hard and tried to find out where the piece in hand would find its place. We came back again on the earlier abandoned part of the puzzle and sorted it out. We rejoiced when a piece found its place and we got frustrated too, if a part remained elusive for long. With patience, determination, focus, we finally completed the picture and it was an Aha! moment. Once we were done, this friend who was (God, bless his soul. We lost him to the Big C last year!) very spiritual and a well read person, said, “What if we apply this jigsaw puzzle in our life?” This intrigued us so we asked him to elaborate on it. He explained. 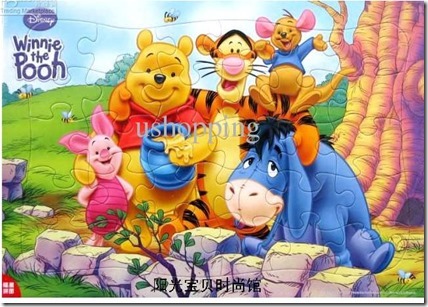 Suppose, the relationship between a couple had lost its charm and you want to enrich it with love and warmth, once again, the concept of solving a jigsaw puzzle can be applied here. The first thing that we need to do is to visualize a happy and a fulfilling picture of that relationship (similar to the complete picture on the box of the jigsaw puzzle). Then start by putting in efforts that would bring happiness to the relationship (like assembling the pieces in the jigsaw puzzle). If they seem to work and start making a difference in the relationship, it’s great. It means that we are moving closer in our mission of enriching our relationship. In case the efforts or the ingredients we put in to bring a change in our relationship don’t work, we try a different strategy. The more pieces we keep adding to complete the picture, the clearer the picture becomes and in this case, better is the relationship. We marvelled at the way he explained that life is like a jigsaw puzzle, you have to see the whole picture, then put it together piece by piece. Isn’t this amazing? And this concept can be applied in every aspect of our life, a new project, or striving towards leading a healthy life or fighting any battle of life… Thank you B for sharing such a wonderful insight with us. I guess that’s how we do things already – treat our goals as a big puzzle to complete and see what fits and what doesn’t. I think if we take it as a challenge and are excited to face it, the process will become interesting. But most of the time we take it as a fight to win and the experience becomes a bitter one. I don’t know much about relationships, from what I assume – trust is a big factor (required from both sides) that keeps relationships going. There is such an important message in your post and it’s so true… Shilpa you truly know how to interpret something like this so beautifully.. I love jigsaw puzzles too but that’s an interesting way of looking at life. And yes I think we can apply this for any aspect of life. and your friend has explained it just right. I love doing jigsaw puzzles too! Yes, maintaining relationships can be a jigsaw. many different pieces that are so hard to fit. you have to see the whole picture, then put it together piece by piece. – I think you nailed it with that line. I love jigsaw puzzles too. My son and I are into 3D architecture ones at present. that’s a nice post with a beautiful lesson for life indeed! sometimes we just have to go with flow to see the beautiful big picture in future! One needs a lot of patience to solve a jigsaw puzzle, and much, much more patience to solve the jigsaw puzzle called life. Yes, indeed the thought behind using the jig saw puzzle to sort life can be very interesting. I liked how you used your own example and led the article back home. Nice! Wonderfully explained Shilpa and holds so true. You are so right, life is a puzzle, and we have to use every ounce of our brain to be focused, and not let ourselves drift away even for a second. At least Puzzles can be dismantled again and we can start assembling it again from the scratch, but unfortunately, life is a game that cannot be dealt with in the same manner. Am I making some sense? 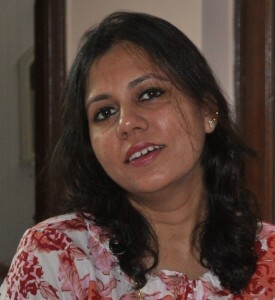 Very true, Shilpa ji 🙂 Life is so much like a jigsaw puzzle…sometimes we may not be able to make out why something is happening to us, but later something else happens, and the whole picture becomes clear…! Shilpa this was just beautiful…such a lovely message…so simple and wonderfully written! 🙂 the first step I think makes all the difference – visualizing a happy and fulfilling picture!! What a beautiful way of think (your friend explained). Looking at the happy bigger picture we have to fit in the correct pieces with lots of patience . This is akin to building relationships. Very true Shilpa, life is like a multiple level jigsaw puzzle. It is always about looking for the bigger picture to help you fit in the missing pieces. God has created the puzzle and expects each one of us to concentrate and put all bits together. Nicely put. Life is a big jigsaw puzzle, and we need to rejuvenate our relationships from time to time.